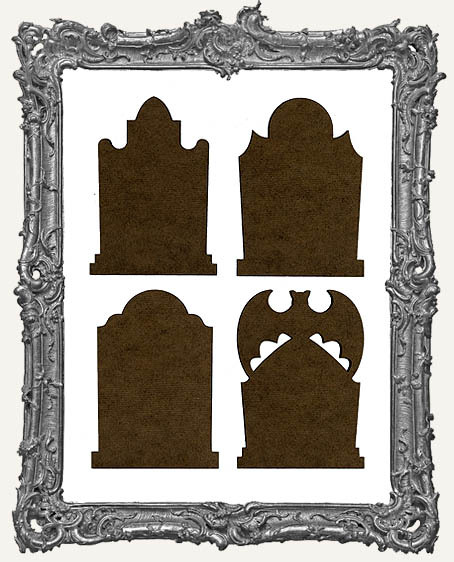 * Set of 4 perfectly cut Gothic Tombstone Artist Trading Card bases (Part V)! They have beautiful detail! * Each Tombstone measures 2.5" x 3.5". You will get 4, one in each style. These are awesome for ATC Swaps! * Made from sturdy 1/8" thick Masonite. * Find more Halloween goodies here. 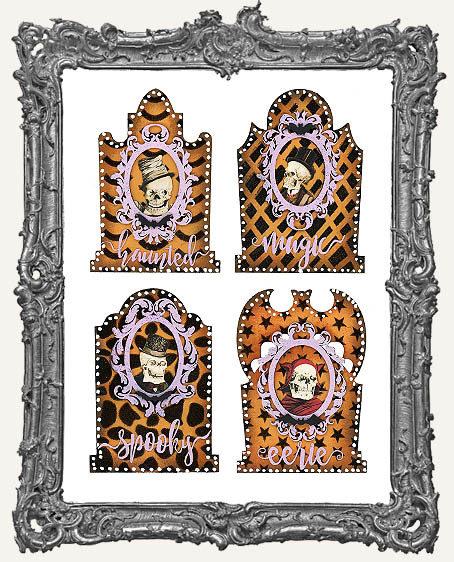 * Find all of our Gothic Tombstone ATC Base Sets and optional Stands here.